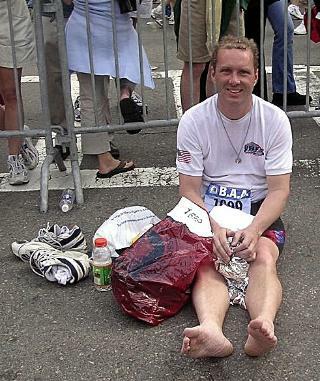 Qualify for and Run Boston Marathon. I run to use my god given talent, and to honor my father. The first Airforce Marathon,350 people, Wright Flyer fly by and then F-16 Jets! Cleveland Marathon, winning Top Ohio Award Male – Female Team. My partner was Fast! I like to volunteer and help others. You can’t keep it if you don’t give it away! Pacing for first time runner in ½ marathon, she finished in 2:15. 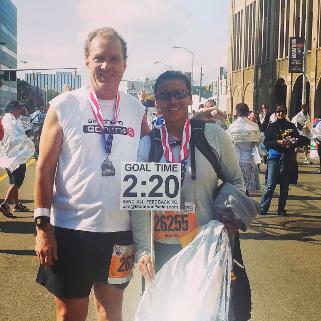 Change her life style and diet, came back the next ran the ½ marathon 23 minutes faster. We need some inspiration just like you, so come along and join the fun! Stay cool and positive, the race starts at 20! Have fun on Race Day the Hay is in the Barn and it’s time to have fun! Stay true to yourself, and never give up!